This first question was already quite a difficult one to answer, because I have so many jams! In the end, I chose to go with THE jam that got me through 2016: King for a Day by Pierce The Veil ft. Kellin Quinn. Though the song has already been out for a few years, I only discovered it last year and it introduced me to not one, but two amazing bands: Pierce The Veil and Sleeping With Sirens. I must have listened to this song especially on repeat for MONTHS. Love, love, love it. Obviously this question was also pretty difficult when it comes to books. 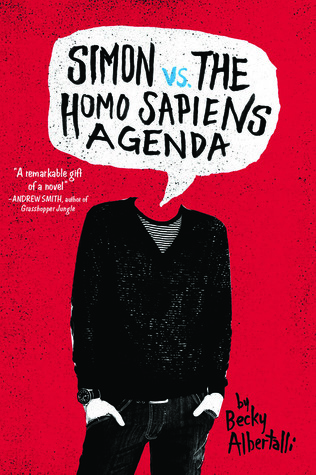 I decided to go with Simon vs the Homo Sapiens Agenda because it’s my go-to feel-good book. I can re-read this one endlessly and I still love it just as much every single time. Also in high school, I was OBSESSED with Nicholas Sparks. I read all his books and watched all movies based on his books. Though I love most of them, my all-time favorite was A Walk To Remember. Both book and movie. The movie is quite different from the book and still I loved both versions so, so much. I watched the movie hundreds of times and have re-read the book multiple times as well. 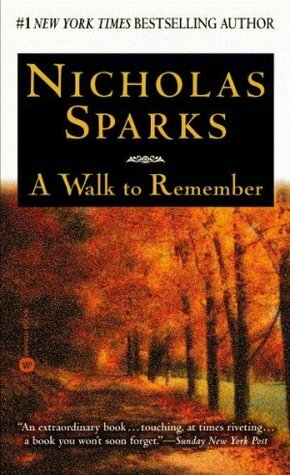 Though I’m not as big a Nicholas Sparks fan anymore, this book (and movie) will always have a place in my heart. Well, this is not really a surprise now is it? Recently I’ve really been getting into Kpop, and though I love a lot of songs and I’m also such a big BIG BANG fan, I must admit that BTS is the band I’ve been playing on repeat the most lately. As in, I’m listening to them right now even. I could have chosen a lot of songs, but I chose Blood, Sweat and Tears just because I find it one of the most visually pleasing music videos. Other possibilities: Any BIG BANG, Monsta X or the latest G-Dragon album. Also not really a surprise, but just in case it is: Hi, my name is Lindsey and I’ve recently fallen in love with the Red Winter trilogy by Annette Marie. 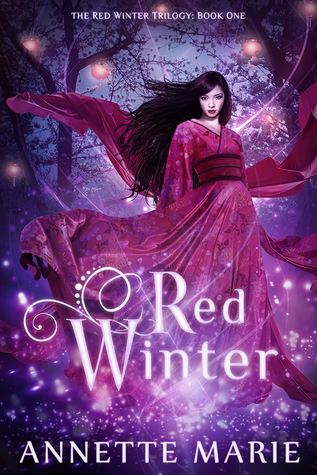 It’s gorgeous and beautiful and a must-read if you’re interested in Japanese mythology, intricate worldbuilding, action-filled plots, amazing characters and romance that’ll make you swoon. This series is way too underrated and I will never stop screaming about my love for it! Please check this one out, I highly recommend it! I find a lot of myself in songs and obviously different songs speak to a different part of me so this was another tricky question, BUT I ended up going with Weightless by All Time Low. The band themselves explained this song as both “being stuck in a negative space and wanting to get out” and also “not wanting to grow up and just wanting to be a kid”. And to me, this song just speaks to me on so many levels. I’m a very nostalgic person, always thinking back on the great times I had and fun memories I made. I also don’t really want time to continue because I feel like a lot of magic from being young gets lost when we grow up. People spend too much time trying to impress others and we lose a lot of really deep, meaningful connections. Also, when I was young I was such a dreamer and there was so much I wanted to do and see and then you grow up and find out it doesn’t really always works out the way you thought it would. Adulting is not all it’s cracked up to be and this song nails my feelings to a tee, better than I could ever describe it myself. For a book this was another difficult question because again I find lots of little things about myself in lots of different characters in lots of different books. 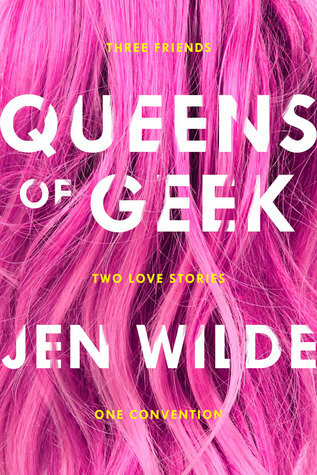 I haven’t found a ‘perfect match’ for me just yet, but I think a book I recently read came really close and that was Queens of Geek by Jen Wilde. Not only did I really relate to the character of Taylor in terms of anxiety, the book in general just spoke to me. From the fandom aspects (hi, I’m a fangirl), to the important messages that I really believe in, to the friendship and relationship aspects that knew exactly the right buttons to push in order to get me all mushy. Okay, okay, I know this is an award-winning Broadway musical so there are obviously a lot of people out there who won’t find this weird at all. But if you’d ask the people around me, they’d definitely consider this to be the weirdest music on my playlist (though to be fair they’d be pretty weirded out by all the Korean songs as well). In real life, I don’t know anyone who has even heard of Hamilton. And I would never in a million years have guessed that I would some day become obsessed by a rap and hip-hop musical about the life of American Founding Father, Alexander Hamilton. But here I am. I adore this musical to bits and I’m still determined to learn all the words by heart. Well, at least I already know the title song! At first I was gonna go with Illuminae by Amie Kaufman and Jay Kristoff, which is definitely a super unique book in terms of formatting that I really loved. 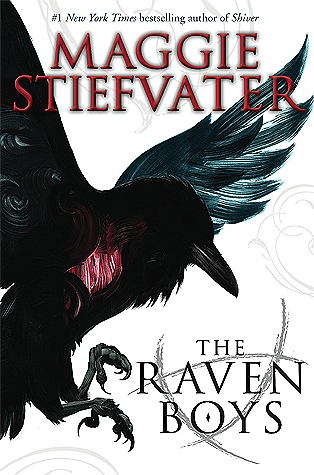 But in the end I decided to go with a series that felt super unique and original to me in terms of content and that’s The Raven Cycle by Maggie Stiefvater. I’m not all that familiar with magical realism, but this series was just so whimsical and original and just… wow. It took me a bit to get into it, but pretty soon I was hooked on these characters and their journeys, from boys looking for long-dead Welsh kings and boys who take things out of their dreams to ghosts and magical forests. Oh hey, BTS again. Yes, and I’m sorry for the repetition, but the truth is that this song in particular has been my ‘fighting’ song during the past few months. Whenever I need a boost, a reminder to keep fighting and keep going, I’ll listen to this song. It also helps that it makes me want to dance, which is always good! I may be repeating myself yet again here, but many books inspire me in lots of different, small ways. Whether it inspires me to consider things from another point of view, or it inspires me to try something new or look into the history of something, almost every book is inspiring. It why I love books! 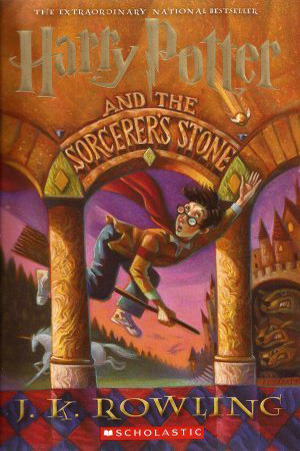 But of course, I need to pick one and I decided to go with the classic, Harry Potter. Because even though I’ve always been a reader, Harry Potter is the first series to introduce me to the wonderful world of fantasy and YA and what really inspired me to keep picking up new books in this genre. I love Editors and though No Sound But The Wind has been a bit overplayed on the radio, I still really love it. Bonus points, because I was actually there at Rock Werchter during this performance when this video was made and it was a real goosebump moment live. Most of Editors’ other songs could fit as rainy day songs for me as well. While on summery days I tend to go more towards contemporary, rainy days scream fantasy for me. 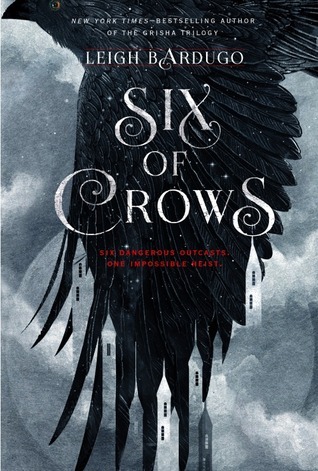 And I think a nice rainy, gloomy day would really fit the atmosphere of Six of Crows well. For some reason, whenever I picture these scenes in my head, it’s always a gray and rainy day, even if it’s described differently in the book itself. Also, I’d love to spend the whole day revisiting my favorite characters ever. And of course, I could follow it up with Crooked Kingdom after. Ok, I hate the term guilty pleasure. You shouldn’t have to feel guilty for liking something just because some random people deemed it ‘of lesser quality’. It’s snobbish. And I like a lot of songs that perhaps people will look at me funny for. I also don’t care. I will sing my heart out to so-called guilty pleasure songs, like Hilary Duff’s Why Not. It’s my jam and you can’t stop me! 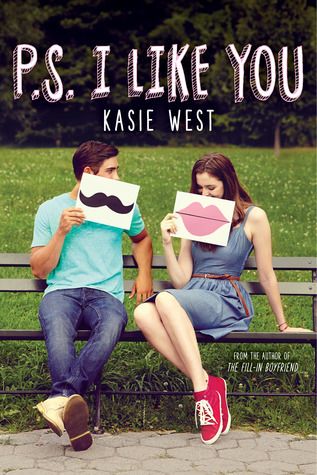 I love Kasie West’s books because they’re cute, fluffy and adorable feel-good romances that I can easily read in one sitting. So really, any Kasie West book could fit this category for me. But I chose to go with P.S. I Like You, because it may just be my favorite by her. It’s got penpal romances, lots of music love, big families and a quirky, fun main character. Sure, it’s a bit predictable and has its’ tropes, but I also really don’t mind! This is the kind of book that I’ll read anytime I just want a quick little pick-me-up! I chose Dance, Dance by Fall Out Boy because first of all Dance, Dance is the first song I ever fell in love with by Fall Out Boy. It started my love for one of my all-time favorite bands, and this band introduced me to so many other great bands and basically really jump-started my love for music and opened up my tastes to so many other genres. I will always fondly remember listening to all these songs at night on my mp-3 player. 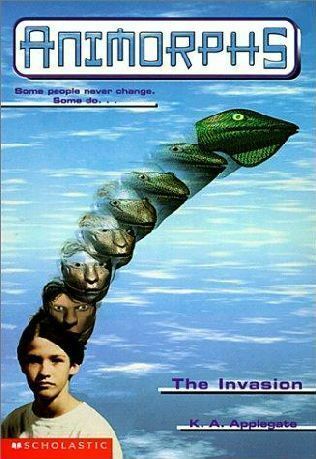 This book series is definitely not from the same time as FOB, but it was one of my favorite childhood books. I loved these so much and was always super excited to find the next book in stores. I always wanted to be able to turn into animals as well (minus the threat of the alien invasion, of course). Unfortunately the series was never completed in Dutch (the only language I read when I was young), so I never finished it. Perhaps I should pick them up again now, in English? Also, does anyone remember the TV series based on these books? 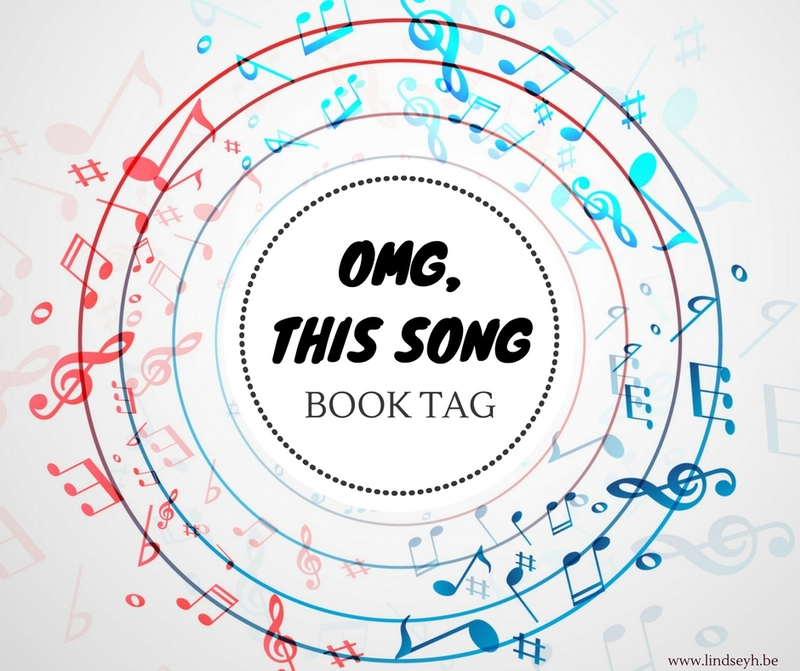 I tag anyone who loves music and just would love to do this tag as well! Or talk to me in the comments! What’s your jam? What’s your most recent favorite song? Your pump-up song? And what’s your favorite rainy-day read? Or your favorite childhood book? Bring Me To Life brings back so many memories! I still get chills when I listen to it. And the video is pretty intense as well. That Blood Sweat & Tears video IS really cool! And I’ve heard great things about Red Winter. And yes! I feel exactly the same way about the term guilty pleasure. No one should ever feel bad about liking anything they like. Oh yeah, “Dance Dance” is nostalgic for me too, but “Sugar, We’re Going Down” is more so since that was my first FOB song I fell in love with. I was obsessed with that song and video for a while in high school, haha. I’m totally gonna do this tag! Yes, I love watching the BS&T video, it’s so visually pleasing 🙂 Red Winter is one of my faves, hope you’ll like it if you decide to pick it up! Exactly, people have different tastes and like different things and no one should feel bad about their tastes. Already looking forward to your answers to this tag! Love this tag! Thanks for sharing. 🙂 I’m going to bookmark this and do the tag sometime in the future! Also agree about Evanescence in general! Their music, especially that song, was just everything in high school haha! And yes, Evanescence was one of my high school faves! I actually still really love that entire CD (though I haven’t heard any of their newer music yet). And I still love Bring Me To Life, lol 🙂 It’s so passionate and full of energy and feeling. I love their other songs, too. Oh this is so much fun and a few songs I haven’t heard in a while. I love how you paired the books with some personal quips and music. Fun post! Fun tag! Some many of those songs bring back good memories. I was a huge Evanescence fan, still am really. The lead singer’s voice is amazing. omg yesssss ??? so glad I tagged you in this one because I knew you’d pick so many good songs!! I was actually tempted to use King For A Day for the Jam question too, haha. I know people say that it’s an “overplayed” song when it comes to PTV, but I love it so much and will never get sick of it. Also WHY NOT! I love Hilary Duff, haha. Dance, Dance is one of the first FOB songs I loved too along with Sugar We’re Goin Down. Aaaand you chose such great books too!! SOC and TRC!!! Thanks so much, Lauren! Haha, I’m so happy you tagged me for this, because I loved doing this, even if choosing was super difficult sometimes 🙂 I was late to discover King For A Day, but I think I must have played it on repeat for months and months and I’m still not the least bit tired of it. It really is a song that will stick forever I think 🙂 Hilary Duff is amazing, I love her 🙂 And FOB of course! And SOC of TRC are all-time faves as well. Oh I still enjoy Nicholas Sparks as well, though I’m not as obsessed anymore as I used to be 😉 So true about the similarities though! I think Message In A Bottle is my least favorite as well!